You have all been waiting for this "bonggang" bazaar dedicated to 100% Filipino-made products! Say hello and welcome to the Global Pinoy Bazaar. Opens at 10AM-10PM at the Rockwell Tent, Makati City from November 5-6, 2011. 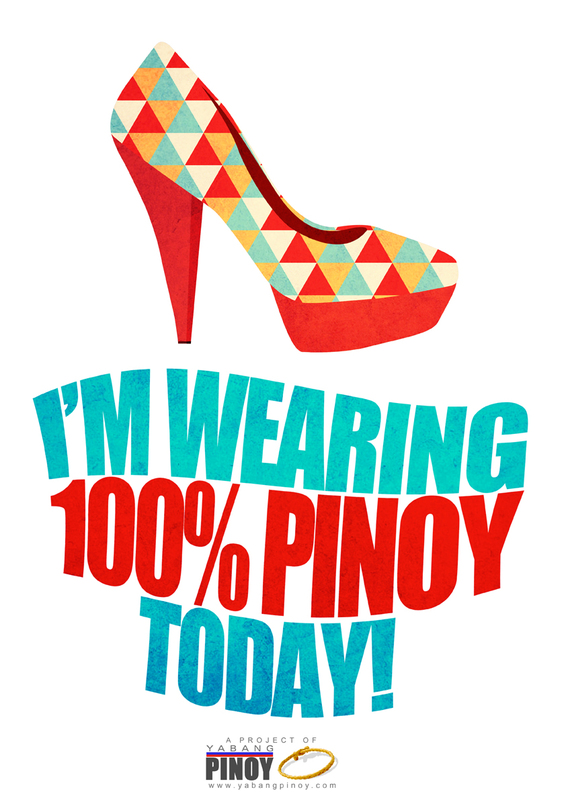 The Yabang Pinoy team also has a treat for everyone who would be wearing 100% Filipino-made products from head to toe. So better dig your Filipino-made outfits and go wear them while shopping then look for the Fashion Police to get your gift. Amazing, right? There will also be free Wi-Fi at the venue so you can tweet and blog while shopping. Gah! What more could you ask for in the ultimate bazaar to hit the metro? 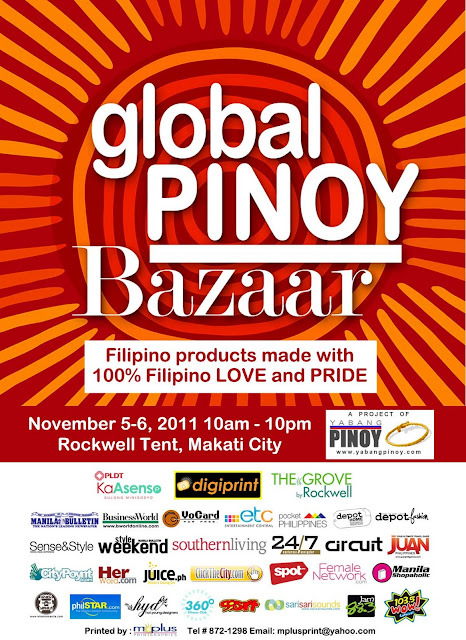 The Global Pinoy Bazaar 2011 is zoned into Fashion, Pinoy Art and Design, Music, Tropical, and Home and Travel. So better mark your calendar now for the best Filipino Christmas shopping experience! For more info visit: www.yabangpinoy.com! And of course, I'M GIVING AWAY FREE PASSES FOR THE GLOBAL PINOY BAZAAR. This contest is only until tomorrow so write down at the comments section below why we should be proud of Filipino-made products and I'm giving the top 5 best answers the free passes! This contest will end at 3PM, tomorrow (November 03, 2011). With your answer, write down your full name and email address as well so I can contact you. We should be proud of Filipino-made products because the ingenuity of our countrymen is known worldwide. May it be in fashion, food, visual arts, products by Pinoys are definitely world class quality. 1. Pinoy products boasts of unparalleled creativity and ingenuity. 2. Pinoy products are green. Eco-friendly, for the win! 3. Pinoy products are of high quality. Filipinos making awesome products for fellow Filipinos. That's the way to go! 4. Patronizing/wearing Pinoy-made products is the best way to show nationalism. 5. They're Filipino-made! Is there even a better reason that can top that?